Throughout the session, students interacted with the trainer and resolved their queries. Overall, it was a great learning for the students, who came to know about career options related to Finance specialization and various skill sets required for the same. 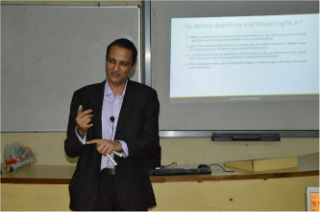 They also got hands-on learning on developing Financial models with the help of IT tools.